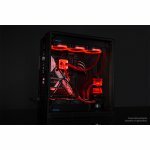 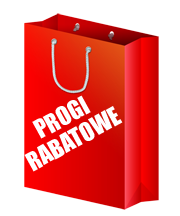 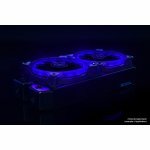 Alphacool Eiszyklon Aurora RGB LT - 1300rpm :: ..:: Angela.pl ::.. 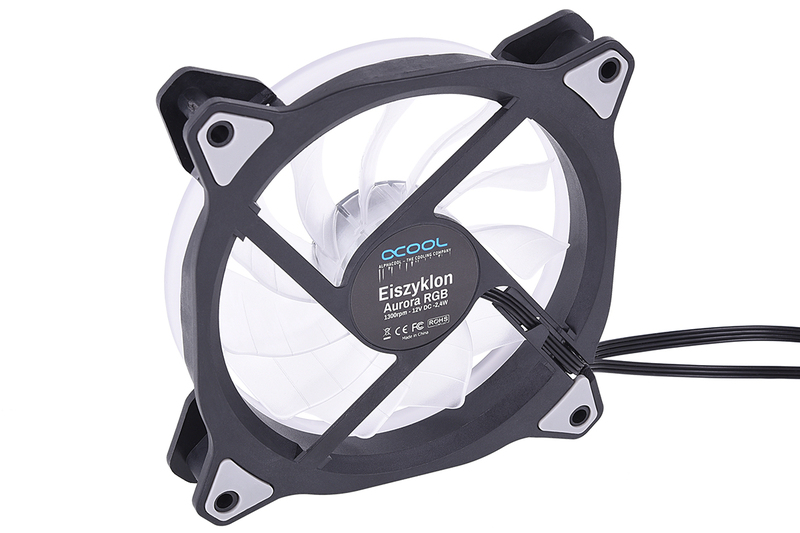 The 120mm Alphacool Eiszyklon RGB LT fan is the ideal combination of silence and fan performance. 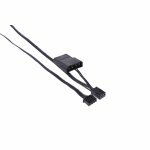 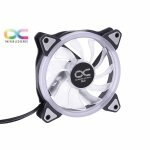 Due to its high air flow rate and enormous static pressure, the RGB LT Eiszyklon fan is suitable for use on radiators, CPU air coolers and as a case fan. 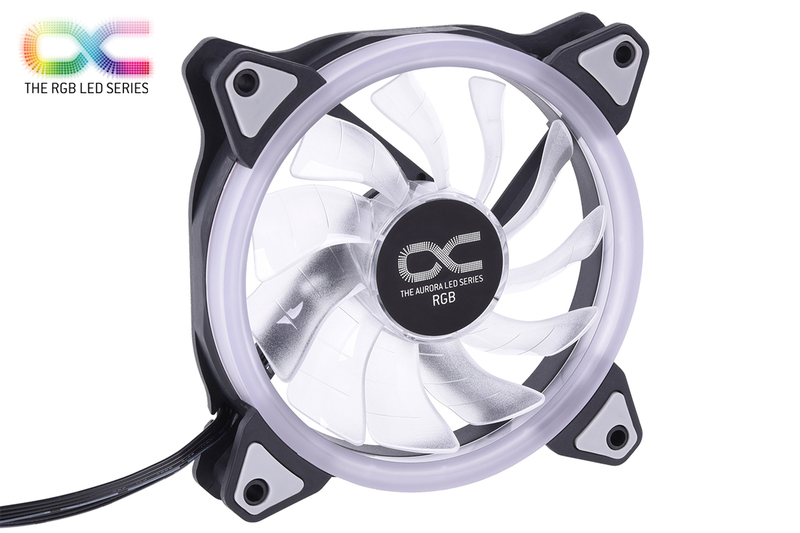 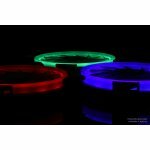 With a maximum fan speed of 1300 rpm and a high control range, the Eiszyklon RGB fan is also suitable for silent systems. 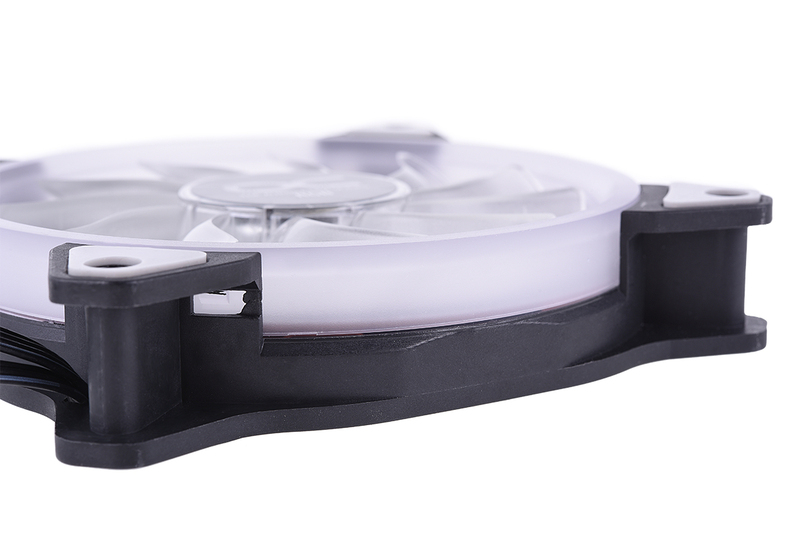 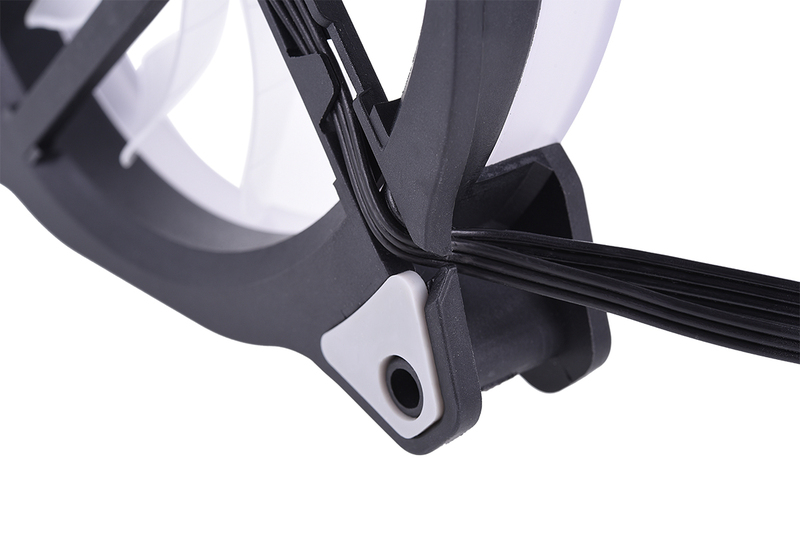 To emphasize this silent effect, the fans are curved in the so-called wave form and have fine air conduction grooves. 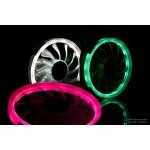 This reduces turbulence and self-resonance and focuses the air flow. 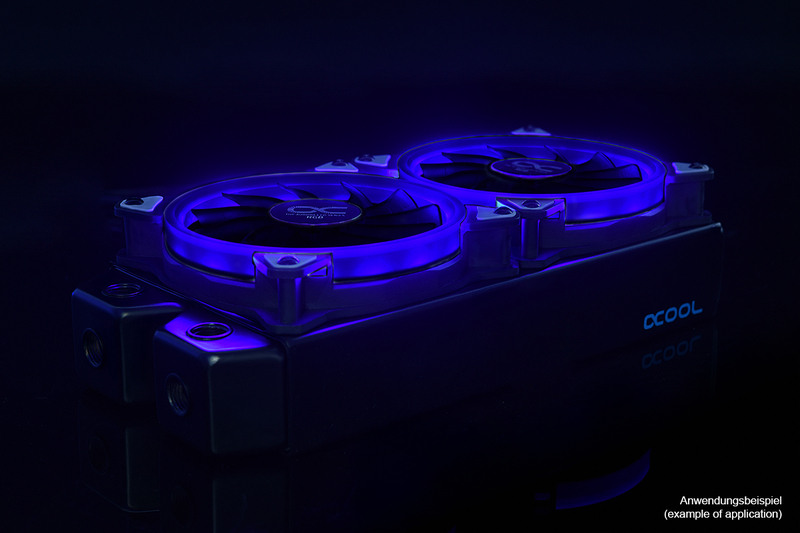 Instead of just 4 LEDs in the corners of the fan frame, as is the case with many fans, Alphacool uses 15 RGB LEDs. 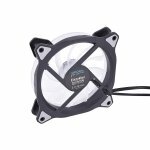 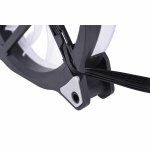 The entire fan frame serves as a diffuser that distributes the light evenly over the entire frame. 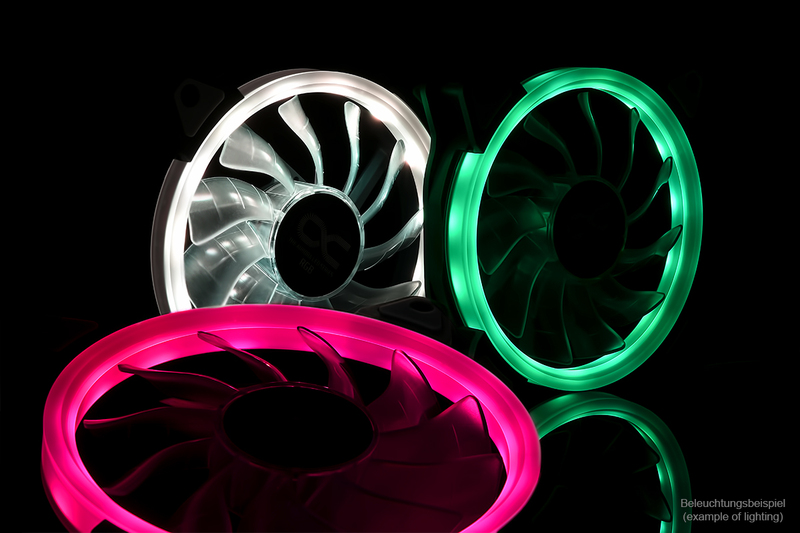 The light is scattered inwards onto the fan blades, forwards away from the fan and to the side. 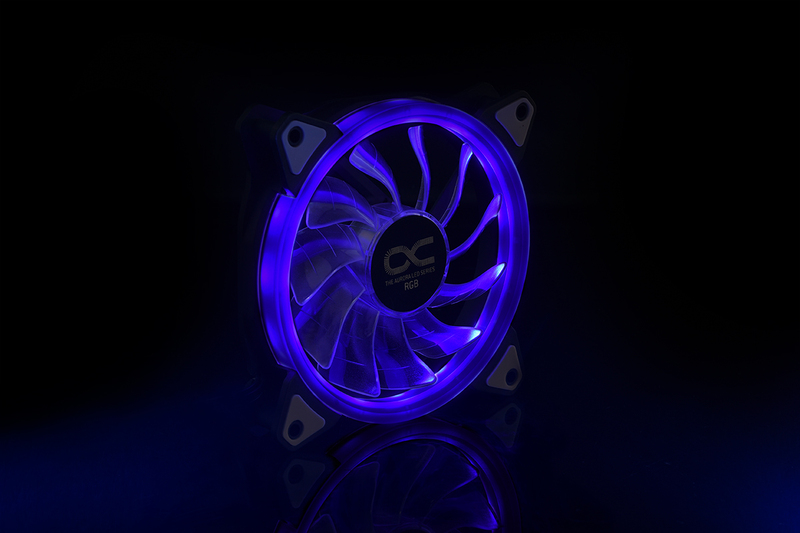 This creates a far more defused looking ring around the fan compared to the 120mm Alphacool Eiszyklon RGB, which has more of a laser beam effect. 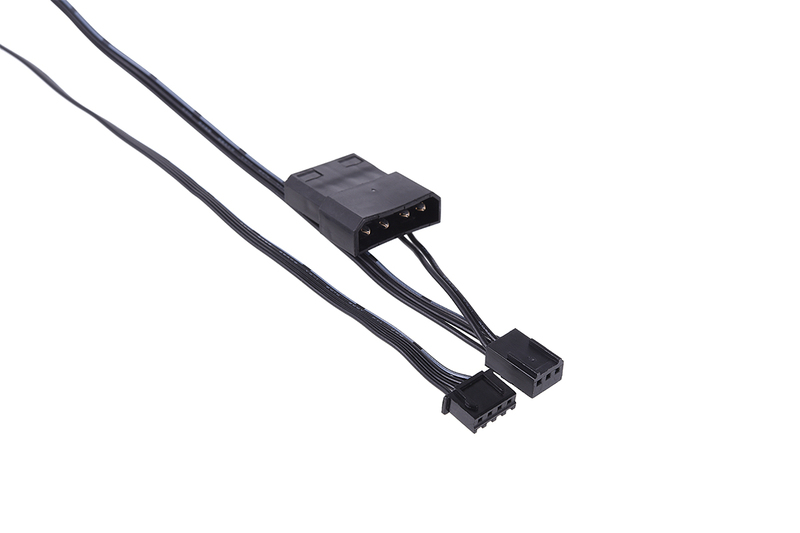 The Eiszyklon fan is connected via a 3-pin fan connector and additional a 4-pin molex connector. 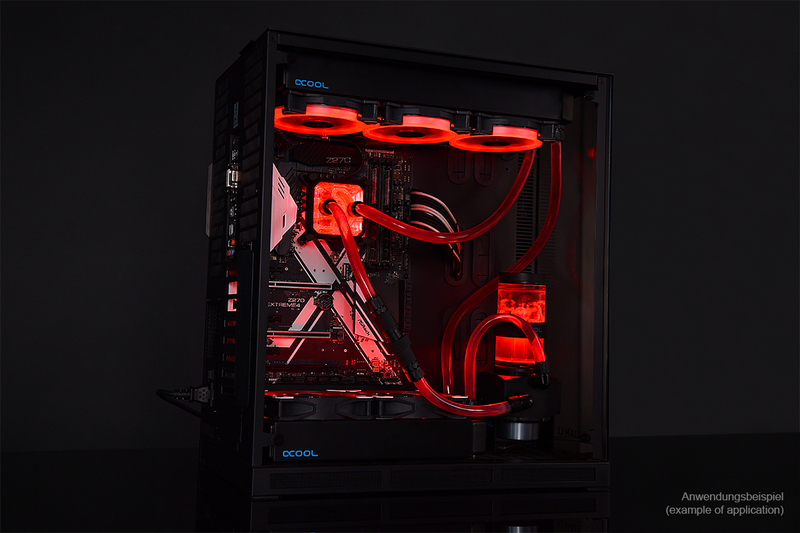 The Eismatrix Controller is required to control the RGB lighting. 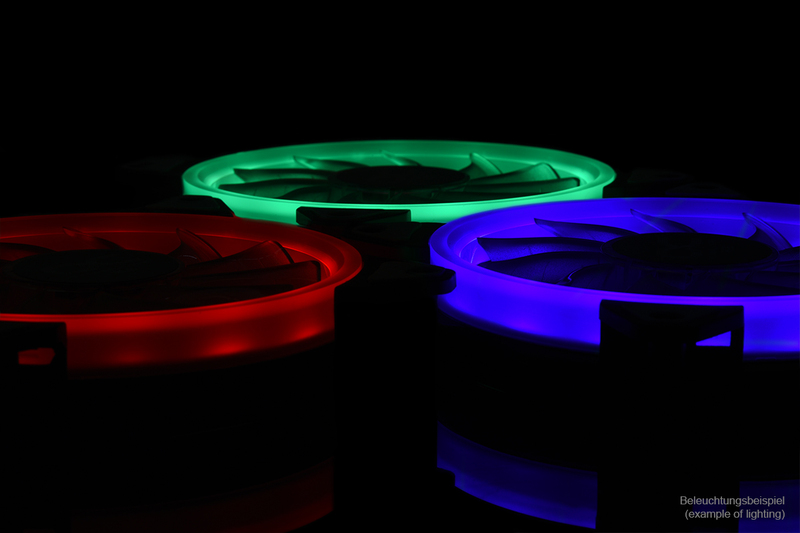 Alternatively, you can also use other RGB LED controllers with an appropriate adapter.